GreenGate Fan, Latte Cup Collector and Pink Lover? 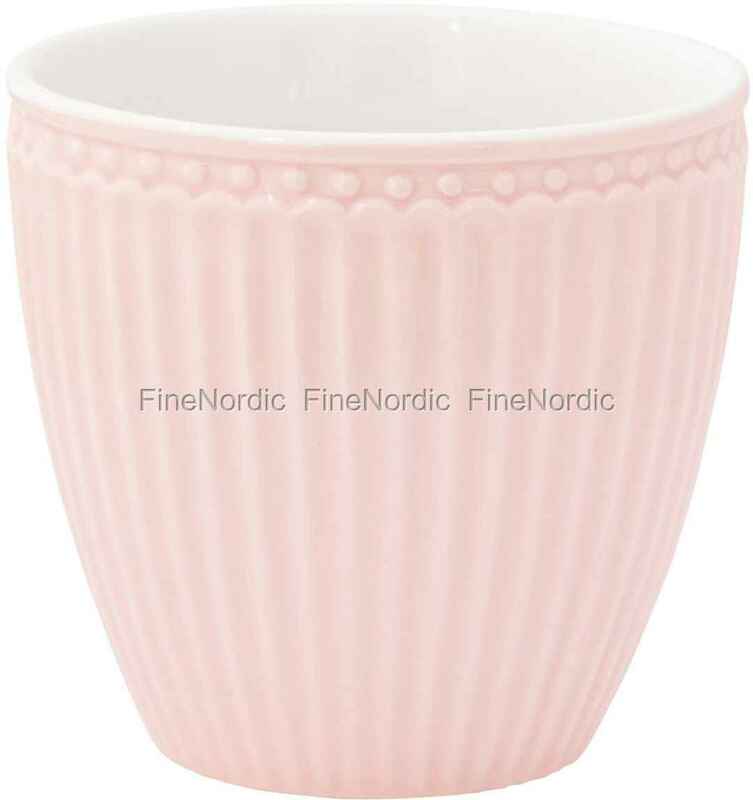 Then the Latte Cup Alice Pale Pink is a must-have for you. The best start into the day is by drinking an aromatic morning coffee from this stylish Latte Cup with its beautiful groove design. The Pale Pink Latte Cup looks fantastic together with other pieces from the Alice Pale Pink series and mixed with patterned GreenGate tableware, it offers an interesting contrast on the beautifully set table. The cup fits well into your hand and has a capacity of 300 ml. It can also be used as a mug for juice or hot chocolate, or for the portioning of snacks. A true all-rounder in soft pink, that and more is the latte cup Alice Pale Pink!